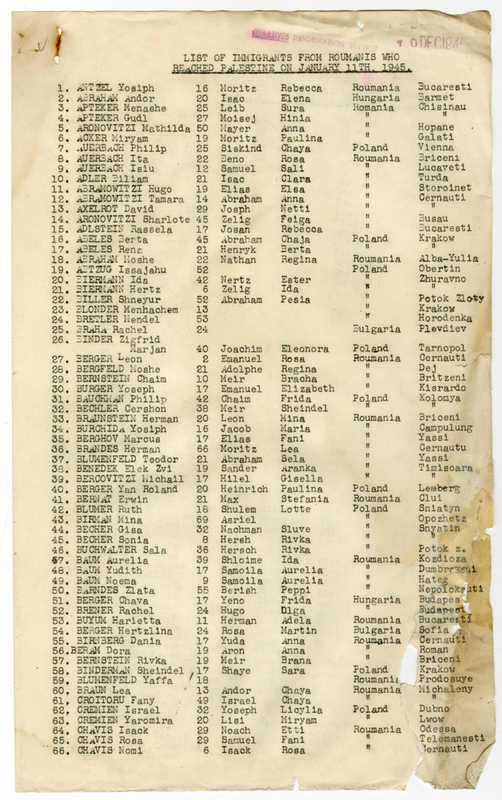 A list of immigrants to Palestine arriving from Romania on January 11th, 1945. 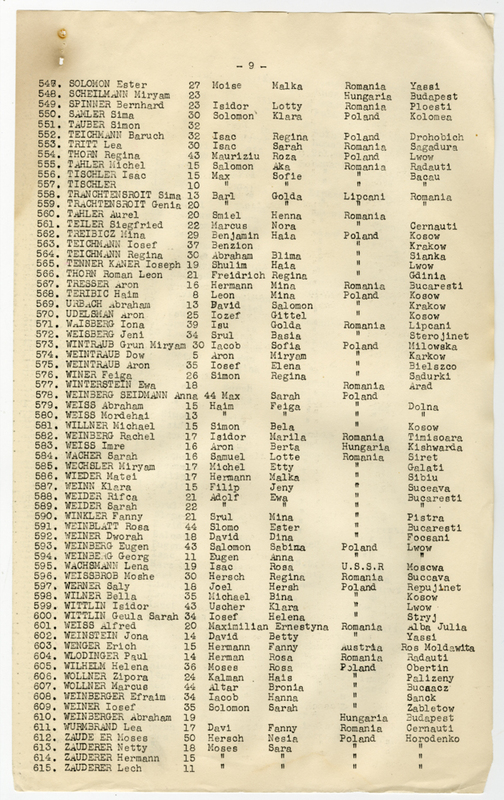 Please enter the following in the appropriate fields: Line number, Surname, Given name, Title (skip if not listed), age, Father's name, Mother's name, Country of Origin, Town of Origin. If a field is unclear, enter a ? in that field.